And now let's look at a car that hails from a time when men had mustaches unironically, transmissions had clutches, and Porsche engines were cooled by the air. 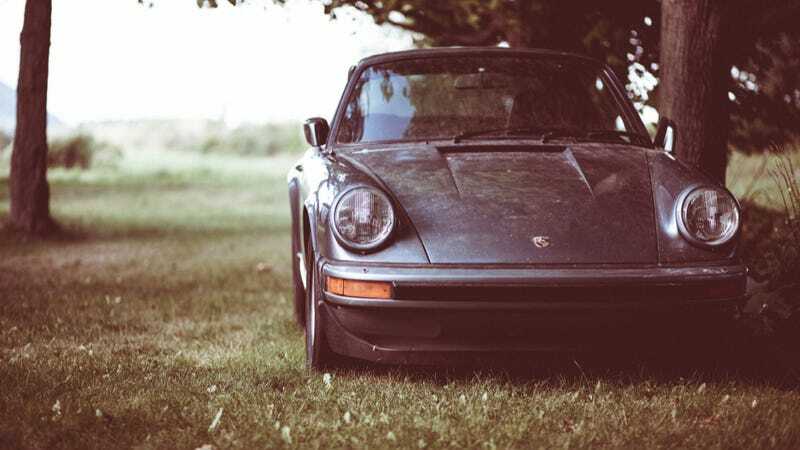 This is a 1983 Porsche 911 SC. Introduced in 1978 back when the 911 was fighting for its future against the 928, the SC ended up being one of the most successful 911s ever. Sales were ultimately strong enough to stave off the car's retirement for good, leaving the Porsche flagship's engine in the back where it belongs. Today it remains one of the better older 911 bargains. This photo comes to us from photographer Olivier Martel. I like the grain and color tone he added. It gives a nice vintage feel that really suits the car. Anyone out there have experience with the SC line? Photo credit GtrQc. Click here for an absurdly large desktop version.